We have featured about tools to assemble 1:16 series before – and here are a few more additions to help you. The best paper glue for this series is ‘quick dry’ PVA and it is critical how quickly it sets. The ultimate product we have found is this one from Japan – not found in Europe yet. 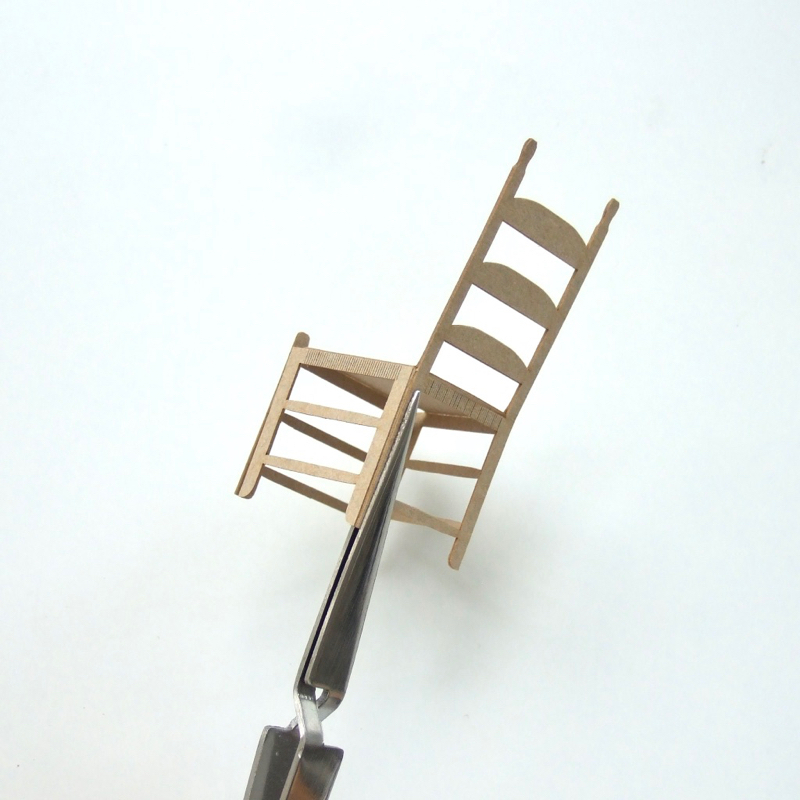 So, we started to sell the smallest package of 20g, in our 1:16 on-line shop – and it comes with a pair of toothpicks/cocktail sticks. The next recommendation is a set of tweezers. Our best favourite tool is the one that has a cross shape in the middle – sprung tweezers which are able to pinch and hold when you release them. This helps to glue tabs firmly without using masking tape. This set of tweezers contains the one above, and the other tweezers are useful, too. They are available at Cass Art on-line shop for £4.95. I bought this set in their shop where you will also find a ruler, sharp knife and cutting mat – all you need to assist you to complete the 1:16 models. The last items that are a great help are clips. Clothes-pegs might do, too, but if you find a pair like in the picture below – called ‘bulldog clips’ by some – as small as possible, they will make your life a lot easier. Oh, in addition…. The picture above shows when we use clips for 010 Well Tempered chair assembly. In this model only you need super-glue, as PVA glue does not work with foiled paper surface. We buy ours from the pound shop! And a toothpick or cocktail stick will be a great tool to help assemble 010 Well Tempered chair.